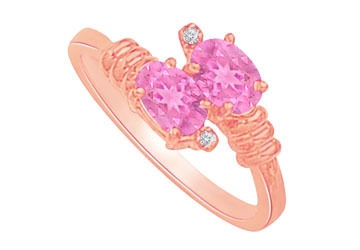 Pretty rose gold vermeil designer ring is a uniquely designed ring with best price range. A designer ring with created pink sapphire as center stone is fixed in prong setting over the ring. Two beautiful CZ stones are crafted at the tip.1.00 CT TGW.